Ripped Max Muscle Trial Offer Review - Is this offer legit? 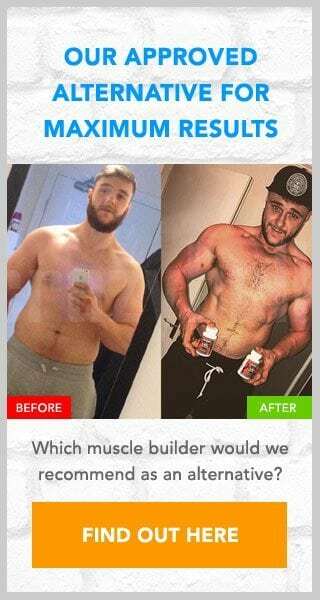 Ripped Max Muscle Trial Offer Review – Is this offer legit? Ripped Max Muscle is a performance enhancer that can help deliver “mind-blowing results”. Well, this is what it claims anyway. Whether this product works as claimed is another matter entirely. Hopefully by looking at the product in more detail we can discover the truth behind the claims. Please read on to avoid any potential issues. 4 Is the Ripped Max Muscle trial a scam? To check the accuracy of these claims you should spend a little time researching the product itself. For example, are its ingredients likely to offer these benefits? Unfortunately there is zero information available regarding the ingredients that have been used. This makes it impossible to check the accuracy of the claims made. Perhaps this product is as effective as claimed, but we simply do not know. I certainly would have major doubts about trying a product that could potentially be worthless, or worse still may cause side effects. When looking at trial offers you should never assume them to be free as they rarely are. This particular offer for example involves a $4.95 shipping charge that allows you 16 days to try the product. Once this time frame has elapsed you will be charged again, this time $89.95. Ripped Max Muscle operates an auto-ship program so you will also find that if you fail to cancel the trial you will be sent further monthly packages with a bill too. Is the Ripped Max Muscle trial a scam? A lack of ingredient information makes this product impossible to recommend. The cost of the product is also considerable and with so many more cost effective alternatives available I would recommend that you look at one of them instead. If you have signed up to this offer then we would love to hear about your experiences. Please leave a comment below with your review. If you have been put off by the high cost of the above trial and are looking for an alternative then please check out D-Bal, a supplement sold online by Crazy Bulk. This product contains ingredients that mimic the banned anabolic steroid Dianabol, but without the side effects. It is also completely legal to use. As there is no trial option you do not need to worry about auto-shipping or hidden charges. I ordered this product on July 3 and called on July 6 to cancel. At that time I was told by the rep, who sounded TOTALLY inept, not to worry and that I wouldn’t receive any further charges. I just looked at my bank statement and saw that I was charged $89.95 several days ago. I sent an email to “customer service” and was told that I would have to call in to resolve the issue. I called in and spoke to the rep who informed me that they would NOT be refunding me the full amount and that instead they were going to refund me 15%. I refused that and had to argue just to get him to refund 35%, which he did “as a favor”. I asked him to please forward me to a supervisor to which he replied that I would have to wait 24-48 hours for one to call me back, but that the supervisor would “tell me exactly the same thing”. I have taken the product and it is absolute GARBAGE, so this adds insult to injury. WHATEVER YOU DO, DO NOT BUY, OR EVEN TRY THIS PRODUCT!!! IT HAS ZERO VALUE AND YOU WILL BE SCAMMED JUST LIKE ME. YOU WILL NOT BE GIVEN YOUR MONEY BACK AND IF YOU THINK CANCELING WITHIN THEIR TIMEFRAME WILL ALLOW YOU TO CANCEL IT WON’T. THEY WILL JUST SAY YOU DIDN’T CALL. I CAN’T BELIEVE THIS PLACE IS ALLOWED TO SCAM PEOPLE LIKE THIS. WARNING. DON’T BUY ANYTHING FROM THIS WEBSITE. THEY WILL CHARGE YOUR CREDIT CARD SEVERAL TIMES FOR AMOUNTS THEY DONT DISCLOSE TO YOU. THEY OPERATE OUT OF MIAMI AND CHARGE YOU FROM AN OFFSHORE ACCOUNT. WARNING DONT BUY ANYTHING. This page is a review of this product, which we do not endorse.